Cooking tools There are 20 products. 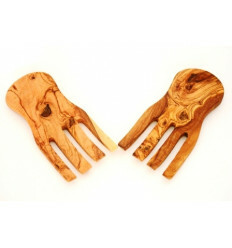 The wood of the olive tree is appreciated for its veins which give an artistic specificity to certain cooking utensils. Its solidity and endurance in the heat are recognized by many sculptors and industrialists, so many cooking utensils are made of olive wood. Rolling pin with olive wood handles, each piece is unique. This spoon Honey Olive Wood Natural is handcrafted. These handicrafts are unique. This Mortar and Pestle in Olive Wood is hand made by crafts of the city of Sfax (Tunisia). This mortar and pestle olive wood are convenient to pound all your herbs and spices. Thick walls agree mortar perfect stability. 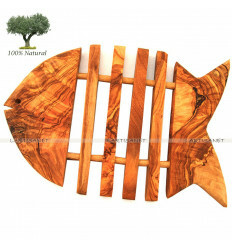 These products are natural and organic utensils. The herb mill in olive wood is ideal for your herbs of Provence (Thyme, savory and marjoram, basil, rosemary ...) it is also a magnificent object of decoration in your kitchen. 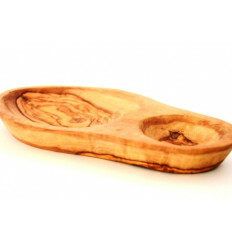 Dish with two compartments in olive wood, the first compartment is for olives, the second nuclei. This calendar is made of olive wood, a sustainable and equitable solid wood, which comes from the city of Sfax in Tunisia. 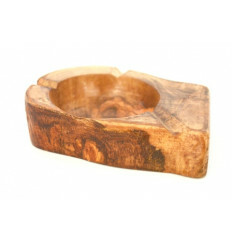 Each ashtray has been waxed to revive the natural color of the wood.